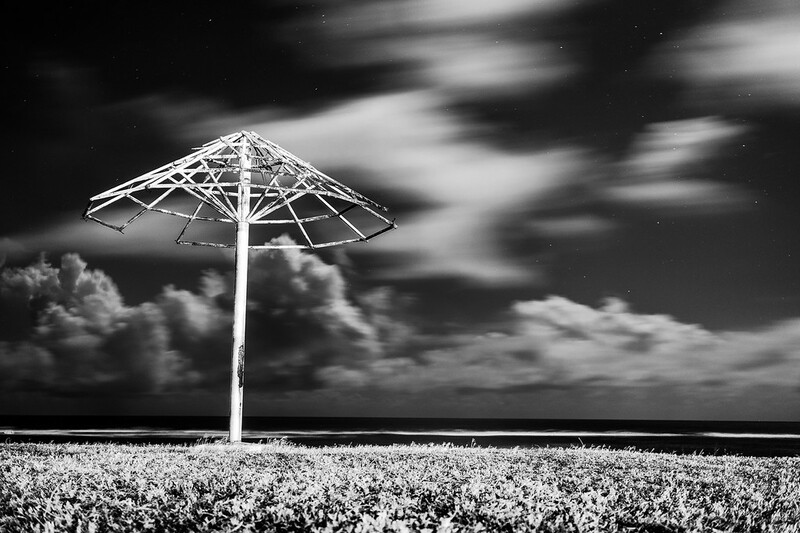 This was taken at La Guancha beach and park in Ponce…in the middle of the night. Only a couple of people were around in cars, but no one was on the beach. It was quiet, peaceful, calm. While the camera was hard at work with the long exposures, it was nice to just relax and take in the incredible view of stars and clouds streaking across the sky.